Scientists say that vaccinated monkeys have developed “long-term” immunity to the Ebola virus, raising a prospect of successful human trials. The experiments by the US National Institutes of Health (NIH) showed immunity could last at least 10 months. Human trials of the Ebola vaccine started this week in the US and will extend to the UK and Africa. The World Health Organization (WHO) says more than 2,000 people have now died in the outbreak in West Africa. Several experimental treatments are now being considered to help contain the spread of Ebola. This includes a vaccine being developed by the US National Institute of Allergy and Infectious Diseases and pharmaceutical company GlaxoSmithKline (GSK). It uses a genetically modified chimp virus containing components of two species of Ebola – Zaire, which is currently circulating in West Africa, and the common Sudan species. The viral vaccine does not replicate inside the body, but it is hoped the immune system will react to the Ebola component of the vaccine and develop immunity. Animal research, on which the decision to begin human trials was based, has now been published in the journal Nature Medicine. It shows four crab-eating macaques all survived what would have been a fatal dose of Ebola virus five weeks later. However, only half survived an infection 10 months after immunization. For now this is the best evidence available on how successful such a vaccine would be in people. The first patient, a 39-year-old woman, was given the vaccine last week as human trials got under way. There will also be separate trials of the vaccine against just the Zaire Ebola species. These will take place in the US, the University of Oxford in the UK as well as in Mali and Gambia. The WHO said safety data would be ready by November 2014 and, if the vaccine proved safe, it would be used in West Africa immediately. Healthcare workers and other frontline staff would be prioritized for vaccination. The number of doses currently available is between 400 – if a lot of vaccine is needed for immunity – and 4,000 if smaller amounts are sufficient. 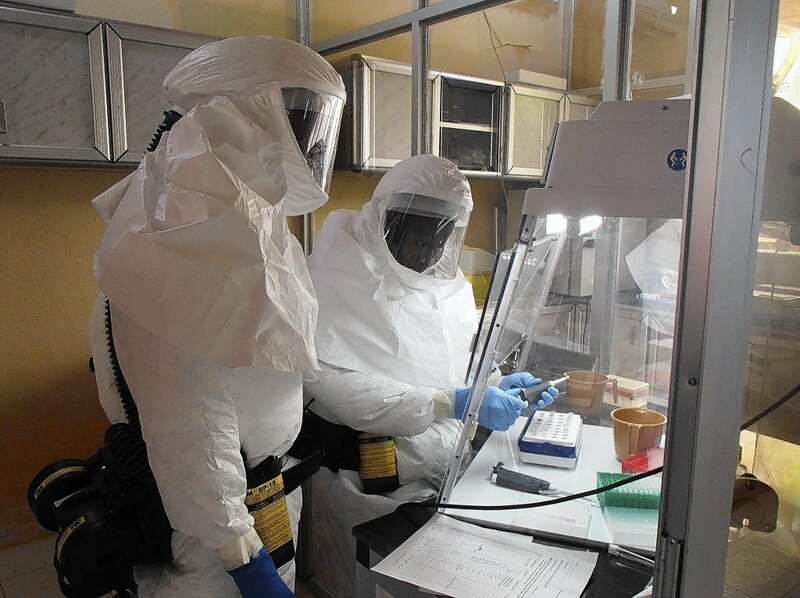 As with all experimental therapies, the WHO has warned hopes of a vaccine must not detract from the proven methods of infection control which have defeated all previous outbreaks.